What a sweet set and perfect sentiments. Another terrific release! 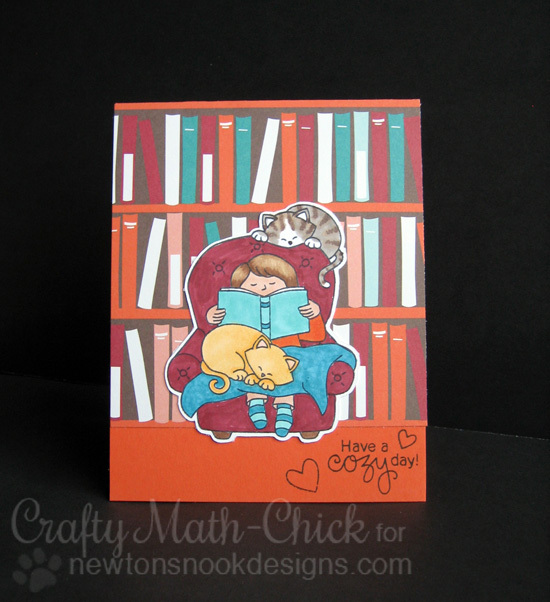 I bet you were just sitting in a chair reading one day with Newton and Hobbes hanging around and felt just like this! : ) It was fun to see the great projects on the hop! Way to go with this set, love the set. Has to go to mu wish list! Dt as usual does an great job showing us their creativity! Such an adorable stamp set. I just love all the cards showing it used in so many different ways. 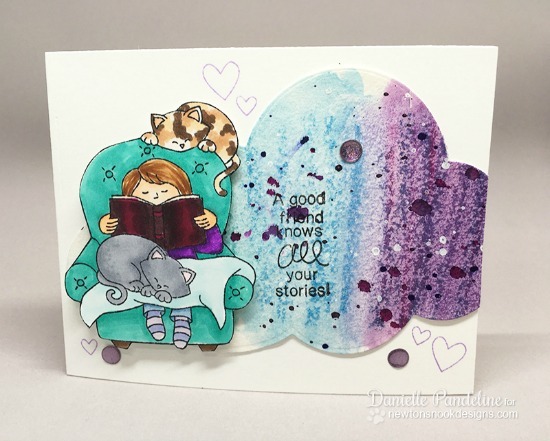 Such a sweet stamp set and love the card. Awww!!! All the cards are absolutely stunning! Love so much this new set!!! So cute!!! 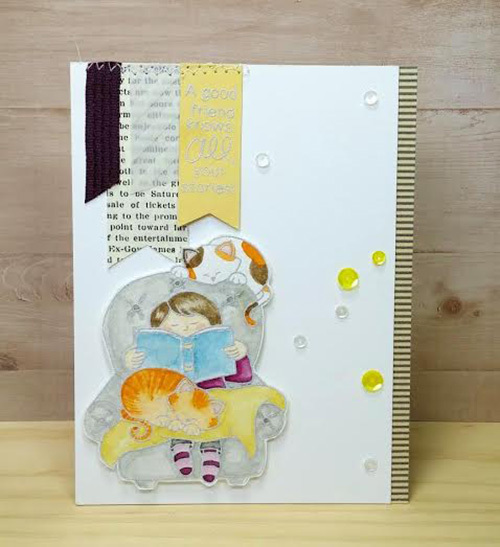 This set is adorable, especially for those of us that have two kitties! This is such a cute stamp set. Love the cats. This stamp is purrfect. I absolutely love it! Love this! It will definitely be an addition to my collection! 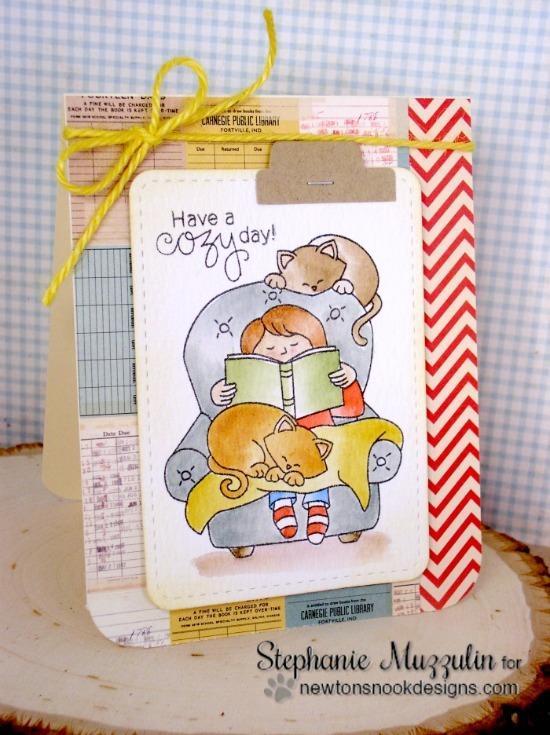 Super cute cards!! what a darling set of stamps! I just saw all the cards on the blogs; they are all so great!! Well done DT!! thank you for promoting reading. Kids need to do more of this. 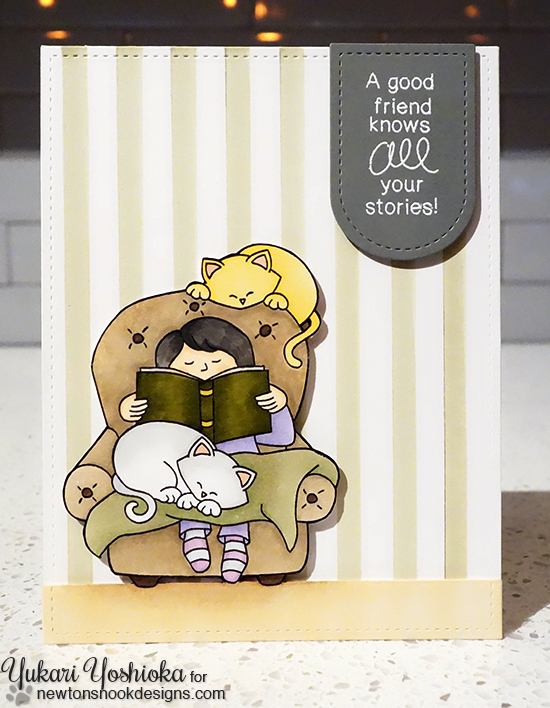 I LOVE this adorable stamp set! 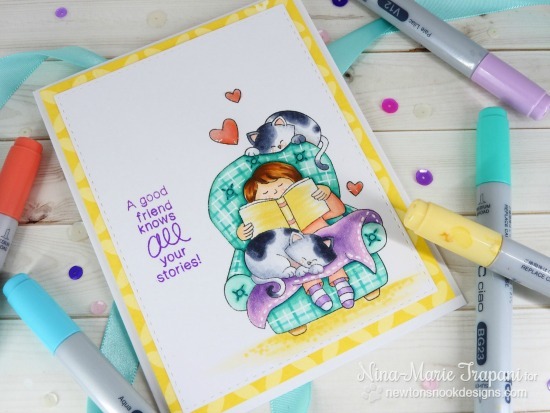 It's just too sweet, and really fun to color;-) This DT is so amazing, so many beautiful projects! 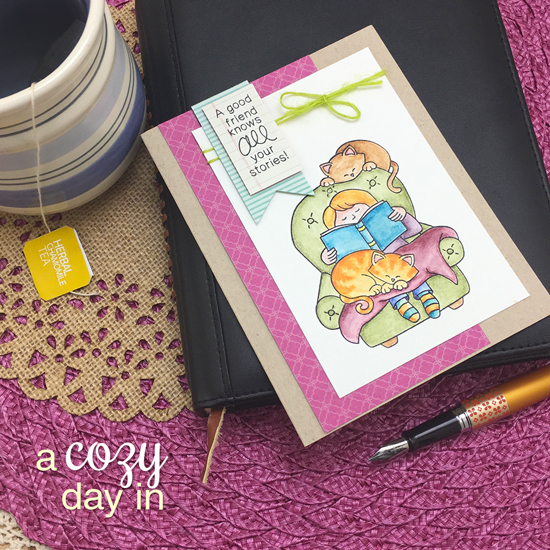 I love your soft and sweet card too, Jen! Thank you so much for inviting me to join this fabulous team! 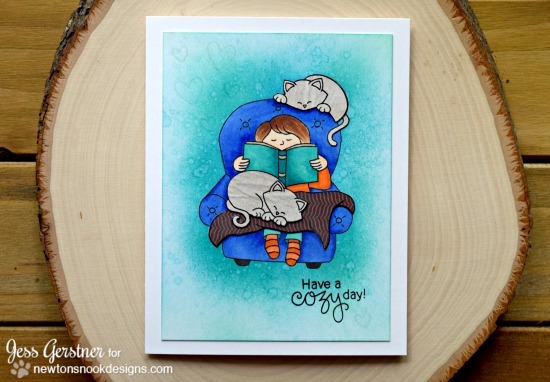 Books, cats and a confortable armchair : the dream after a hard day stamping cards ! This set is adorable. Another cute set! I love the DT's inspiration. 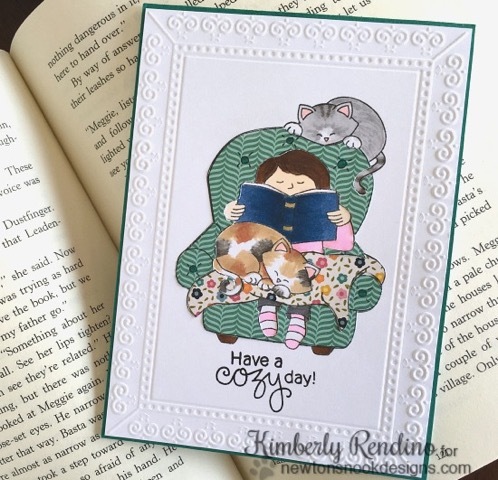 Awesome cards.... reminds me of my daughter when she was young, always with a book in her hands! All the ways the team used this set is cute. Love it. 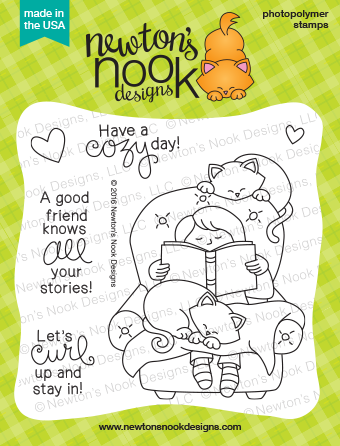 Fun stamp set - perfect for an avid reader and cat lover!! So awesome! !